"Once in a while, right in the middle of ordinary life, love gives us a fairytale." Our specialty is all budgets. We create Flowers, Execute Coordination, Officiate, Design Lighting, Style, and Décor. 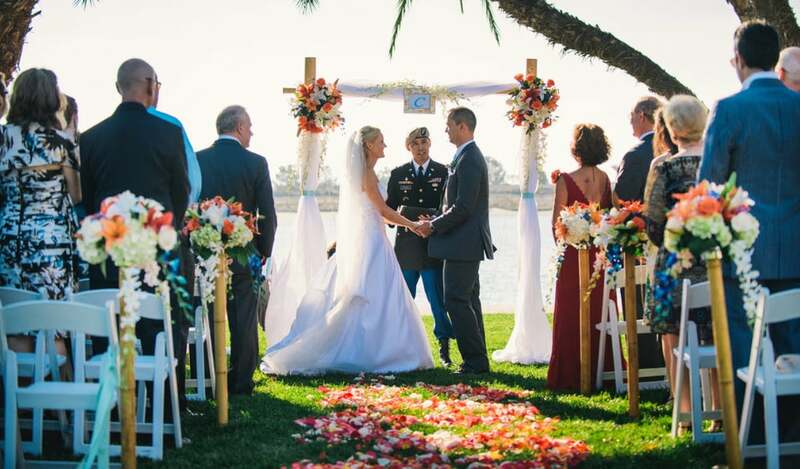 After years of being in the business, we can offer you some of the best recommendations in San Diego for: DJs, Music / Musicians, Bands, Entertainers, Photographers, Videographers, Indoor / Outdoor Lighting and Decorating, Specialty Linens, Photo Booths, Cakes, Cupcakes, Dessert Bars, Hair and Make-up, Save-the-Dates, Invitations and more. Not listed here? Just give us a call. No problem. Explore our site to take a look at some of our previous events and learn more about all the services and packages we offer. And please feel free to contact us regarding any questions or concerns and to make sure we are available for your date. We look forward to meeting with you soon. Schedule your preliminary consultation today.